Losing weight and keeping it off can be especially difficult for women. Women do not lose fat as easily or as quickly as men do. Methods for losing weight all have one thing in common, the end result is that you expend more calories than you take in, creating a calorie deficit, and thereby helping you shed unwanted pounds. The first step to losing weight and keeping it off is to eat five to six small meals a day instead of three large meals.This will keep your metabolism burning throughout day, which increases the number of calories you burn. Another benefit of eating six small meals is that over time these small meals cause the stomach to shrink so you do not need much food to feel full. It takes roughly twenty minutes for the stomach to send the message to the brain that it is full. Wait twenty minutes before deciding if you're going to eat a second serving of food so your body has time to process what you've eaten up to that point. One of the overlooked methods for losing weight as it pertains to women is to incorporate resistance training into your physical activity. Men are more encouraged to use weights and build muscle than women are. This is partly due to women's fears that if they work out with weights they will put on too much muscle and will not look as feminine anymore. You need to lift heavy weights for long durations to put on bulk muscle, which is easier for men to put on anyway. A woman looking to tone up can go to the gym 2-3 times a week and lift lighter weights with longer repetitions to develop muscle and create a "toned" look as opposed to a bulky look. Workouts such as dips and pull ups are excellent for training the biceps, triceps, and shoulder areas. For your legs(which is a great place to add muscle and quickly give your legs a more healthy and toned appearance) you can start with the leg press, and seated leg curl machines. To start a workout routine with all these exercises you can train 2-3 days a week, 3 sets with 10 reps in each set. This will help you initially build muscle and start to transform your appearance. You will need to alternate your exercises every 6 weeks to create muscle confusion and help your muscles continue to grow at a steady pace(if you just do the same exercises and never switch your muscles find the easiest way to perform them and you will stop seeing growth). A cardio plan is important for losing weight and keeping it off. Resistance training is crucial for building muscle, which will rase your standing metabolic rate(how many calories you burn when your not working out), and aid you in keeping the weight off long term. However, a cardio plan done 2-3 times a week(after you have done your resistance training) will help you burn a large amount of calories when done correctly. The key to cardio is doing interval training as opposed to just jogging at the same pace for the length of your cardio workout. It has been proven that interval training helps you burn many more calories as opposed to running at a set pace. Interval training is when you push yourself hard for a period of time, then slow down your pace, then push yourself hard again and repeat this process throughout your workout. To start your cardio training use the treadmill after your resistance workouts. Set the timer for 20 minutes and go back and forth between close to a sprint, and a brisk walk. Doing this will really up your calorie burn and help you see results much quicker. These techniques with modifications to your diet and workouts are healthy ways to lose weight fast for women. A healthy and fit body starts in the kitchen, if you are doing your workouts but eating an unhealthy diet full of processed, high calorie foods you are not going to get the results that you are looking for. Five to six small meals a day composed of fruits, vegetables, and lean proteins are keys to a successful weight loss plan. Once you have the diet aspect down the key to losing weight and keeping it off is to incorporate the resistance and cardio workouts into your schedule. Keeping your workouts steady at 2-3 times a week, and eating a healthy diet will help you transform your body more quickly than you may realize. This article is not offering medical advice, these only merely opinions expressed by the author. Always consult a doctor before starting an exercise routine or changing your diet in any way. 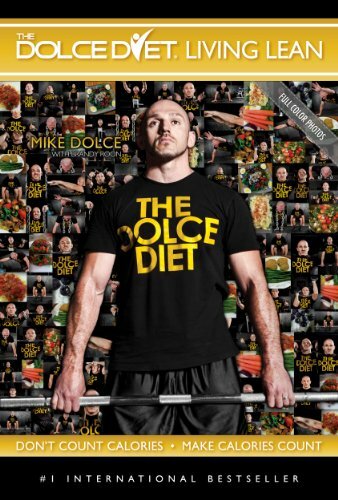 Mike Dolce is famous for designing diets for the top fighters in the UFC to cut weight. His methods for helping people lose weight are famous in the athletic industry.